In 2015 Etihad Airways was awarded for having the World's Best First Class and Best First Class Onboard Catering by Skytrax. With their first class offerings of the First Suite, First Apartment and The Residence on the A380, Etihad has taken luxury flying to levels unimaginable just a few years ago. The Etihad Business Studio could easily pass for first class on many other airlines. With good reward availability and a partnership with American Airlines AAdvatange, Etihad is a great Reward Flying experience just waiting for you to experience. All international aircraft have the Business Studio business class product. Etihad does not have a premium economy. 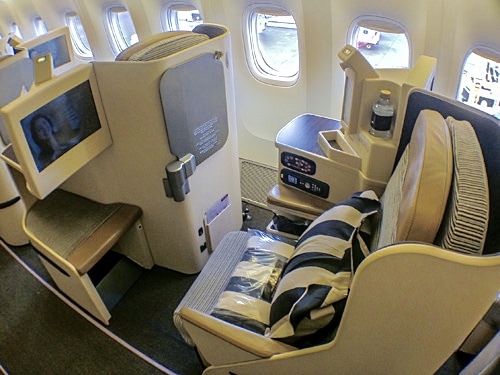 International aircraft with the exception of the two-class 777 and Airbus 380, all have the First Suite. The A380 has The Residence and The Apartment. 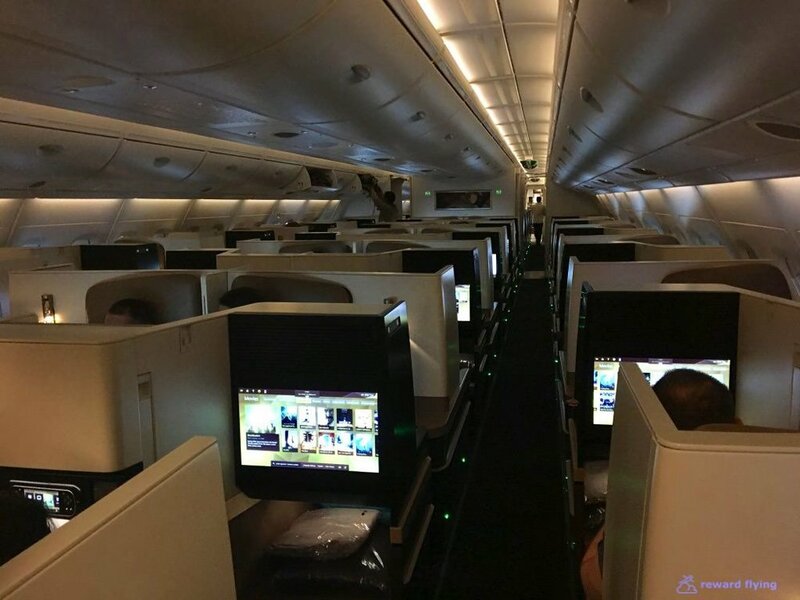 Etihad's cabin design on the 787 and A380 was in-part created by the FactoryDesign of London. While The Residence is not a realistic Reward Flying experience (it requires over 2.3 MILLION Etihad Guest points!) it is still fun to take a look. The Residence is located on the upper deck of the Airbus 380 along with nine First Class Apartments which makes up the first class offering. The Residence occupies the front left of the cabin and is 3 rooms' a main sitting room, a private bathroom and bedroom. A sample retail fare for flying in The Residence form New York to Abu Dubai is $32,000.00 for up to two travelers. You get your own personal butler as well as numerous other amenities like limousine service to and from the airports. Here are photos of The Residence's 3 rooms; the sitting room with dual leather seats and and extended ottoman, the bedroom with a double sized bed large enough for couples and private bathroom with shower. Remaining in the front upper deck of the A380 are nine first class suites called The Apartment. These are enclosed suites that feature a leather seat, a leather bench/ottoman that folds out into a bed as well as a built-in vanity. On the right side of the stairway are two lavatories. One contains a shower that is available to all Apartment passengers. Each passenger is allowed five minutes of water. Each Apartment and Residence are decorated in a natural earthy tones. It appears the colors in Etihad's logo painted on the tail of their aircraft are used. Flying The Apartment on Etihad is a realistic Reward Flying goal! If fact our review comes later in 2016 and our strategies show you how to fly it yourself. The remaining aircraft on Etihad's long haul fleet; the Airbus 330, Airbus 340, Boeing 777 and Boeing 787 get the First Suite. These are enclosed suites with the seat folding out to a full size single bed. The middle seats have a privacy divider. All aircraft first class cabin layout is 1x2x1, with the 787 having a reverse seat arrangement. Business Studio seats have two different configurations. On the A380 and 787 placement is 2x2x2 with alternating rows having reverse seating., as shown on the map to the right where row 5 is facing backwards and row 6 is frontwards. 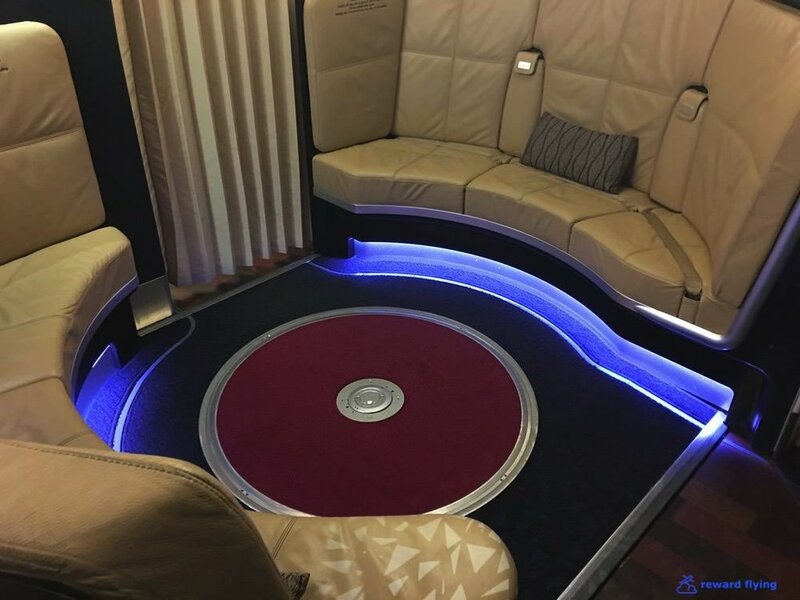 This creative design allows direct aisle access to all passengers and avoids looking at your neighbor, which is the big complaint on reverse seating, due to the partition height. 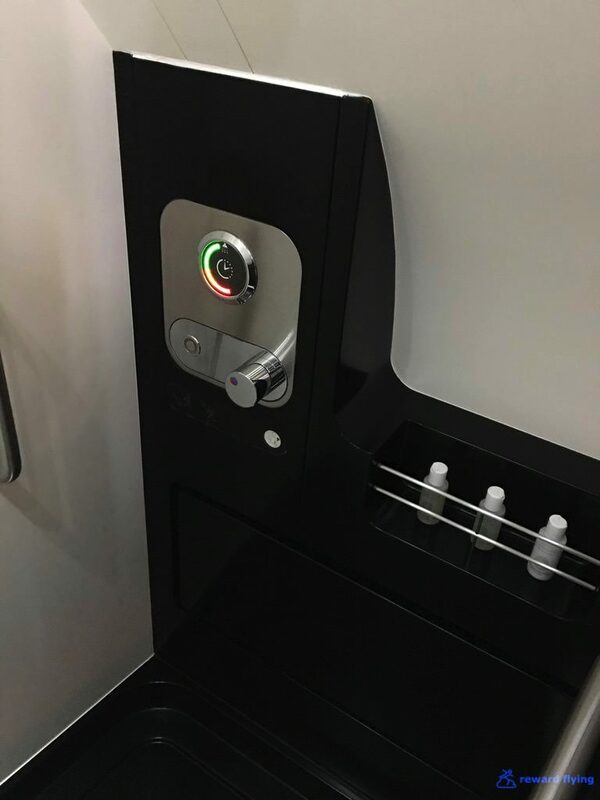 So lack of privacy is not an issue as well as making these Business Studio seats closer to first class suites found on other airlines. The A330, A340 and 777 aircraft have 1x2x1 seating. The bottom left photo show the Studio on a 787 with the updated seat material. 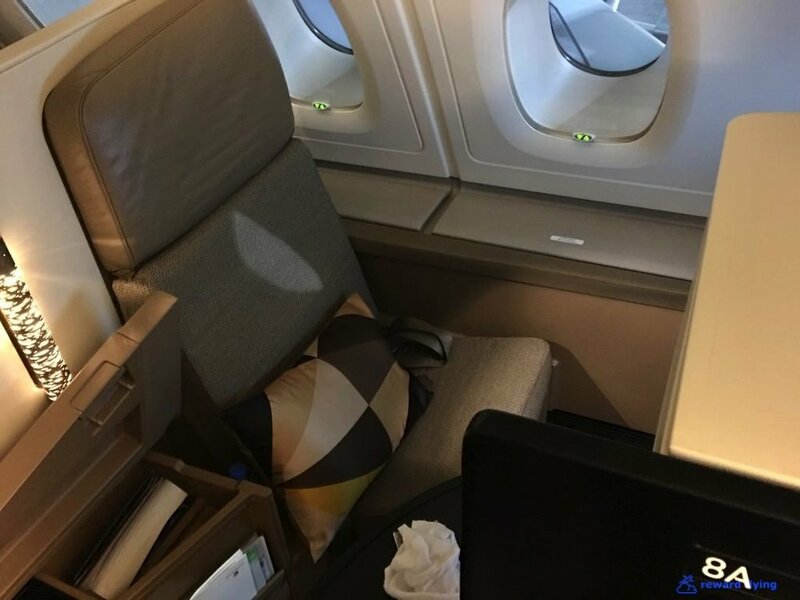 Etihad brands their premium class "flying reimagined". This link is a great article on the product. Have you flown on Etihad? Share your experience with others in the comments section.